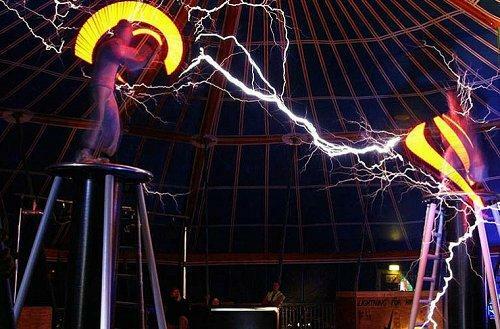 The Lightning Circus Show is one of the most unique and fascinating circus shows on the planet! 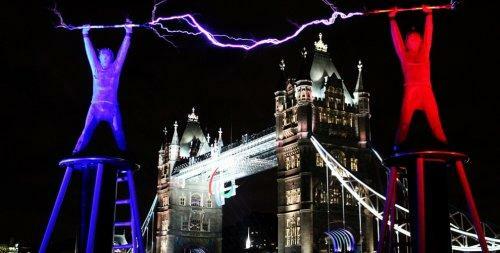 Harnessing 4 million volts of raw electricity into a mystical flow of oscillating chaos! 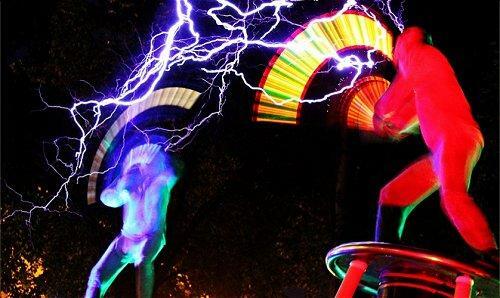 The Lightning Circus Show is particularly good for outdoor events such as festival and and also works great as corporate entertainment for corporate events. Lightning weaves shards of coruscating electricity into a fluid dance before breaking out into a primal battle of crackling energy! 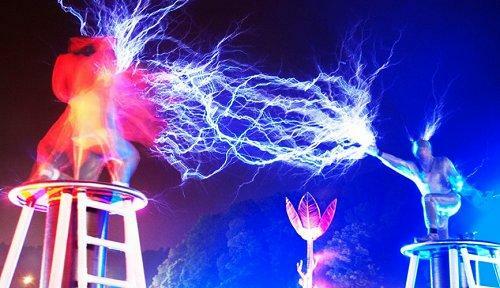 The Lightning Circus Show will quite literally raise the hairs off the necks of anyone who witnesses it, and is guaranteed to be the most talked about aspect of any production. There is nothing else out there quite like it. Out of the Darkness, comes the crackle of Lightning bolts crashing into the night from each of the two towers. 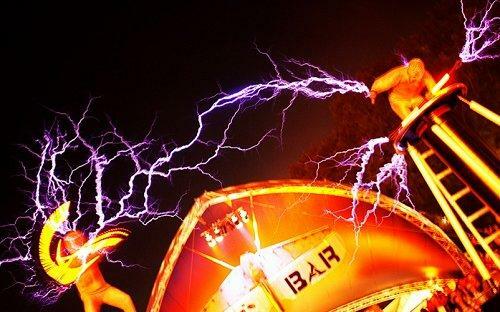 Two beings, dressed in metal suits enter the stage area and interact with the power of the lightning. They begin on a journey of discovery, until they actually climb on to the top of the machine, and discover they have the power to direct the bolts of lightning. The action intensifies as time goes on, and culminates in a dynamic battle between the two performers. The show lasts up to 10 minutes. The show can be shortened if necessary to suit time slots or worked into to your show or music by arrangement.